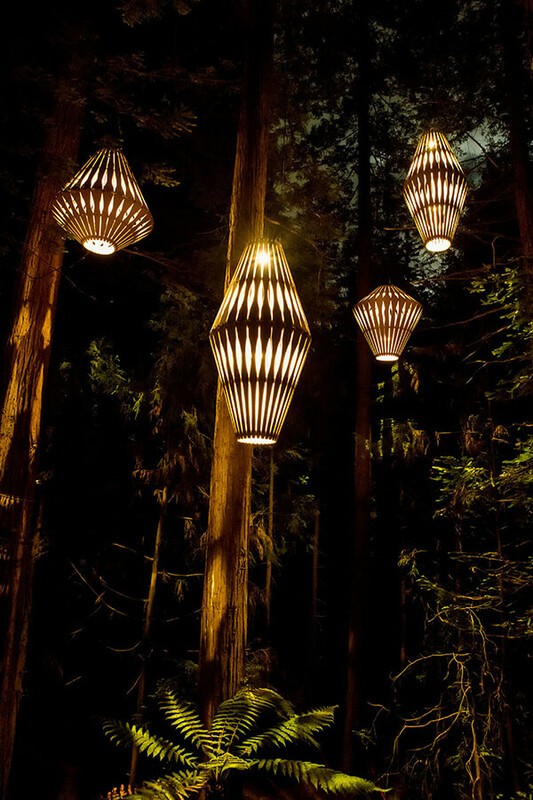 To make the treewalk night a bit brighter, New Zealand based designer David Trubridge and Redwoods Treewalk Rotorua have worked together to create Redwoods Nightlights – one of New Zealand’s few design-led tourism experiences. 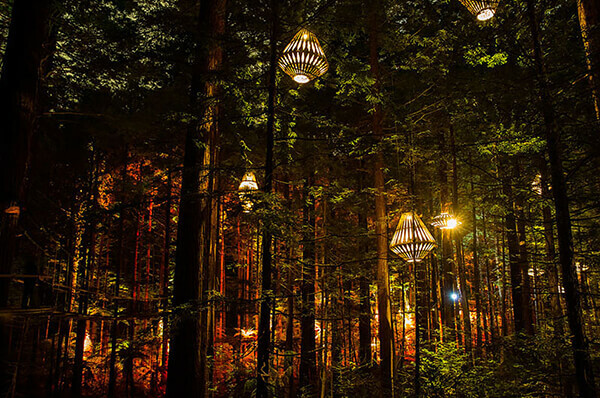 The lights are up to 2.5 meters tall and there are in total 30 of them. 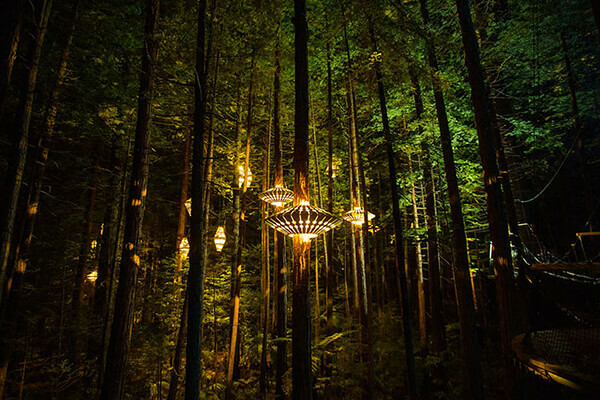 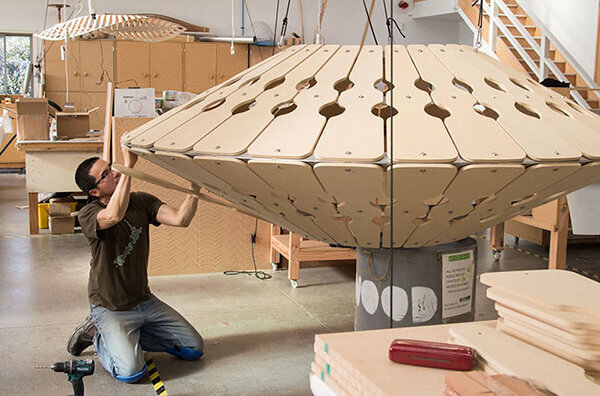 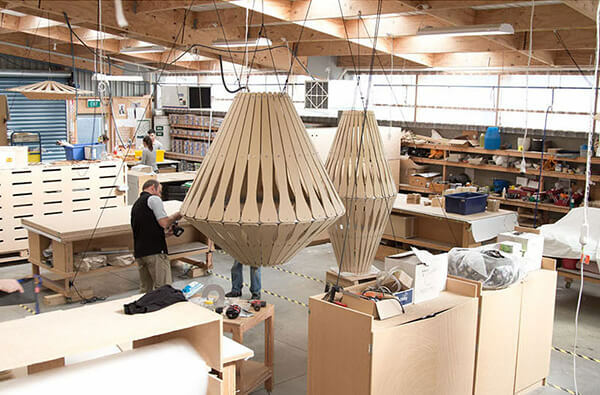 To eliminate the damage to the forest, all lights were assembled and installed by hand. 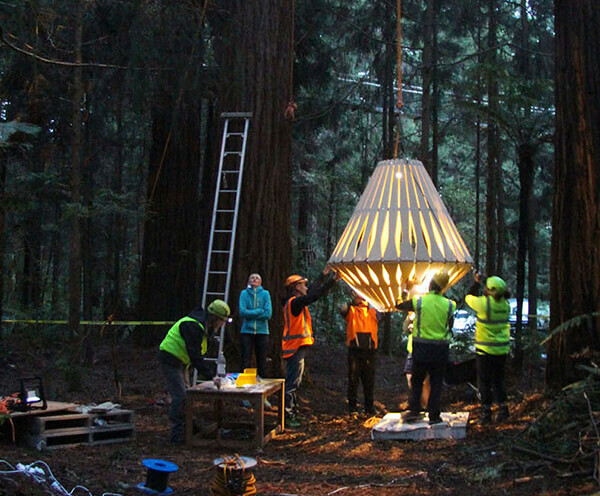 The new night-time experience will offer visitors and locals the opportunity to explore Rotorua’s majestic Redwood forest under the shroud of darkness; illuminated by Trubridges’ bespoke creations to create an immersive and captivating environment.